We are the original makers of the Claddagh Ring and also the oldest jewellers in Ireland. Thomas Dillon’s Claddagh Gold was established in 1750. We are situated in Ireland’s west coast capital, Galway city, the birthplace of this truly historic Irish jewelry. 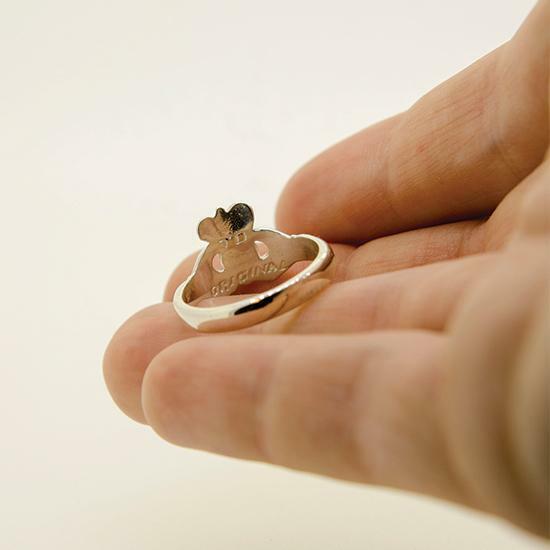 Many firms make different version of the Claddagh Ring, but we are the only makers with “Original” stamped on each ring. All our rings are officially stamped with a hallmark by the Irish Assay Office located in Dublin Castle. This is your guarantee of the quality of our products. Thomas Dillon’s of Galway is the only firm still in existence since 1750 making the Original Claddagh at 1 William Street, Galway. The Claddagh Ring grows daily in popularity because of it’s unique design, peculiar history, sentimental appeal and close association with the ancient Claddagh district of Galway on the River Corrib. All rings are hand-made in our workshop and with over 250 years experience of crafting this famous Irish jewelry, we can guarantee true craftsmanship and excellence.